(Reuters) – A group of Democratic voters asked a federal court on Wednesday to throw out a Republican-drawn map of Ohio’s 16 U.S. House of Representatives districts, saying the boundaries were devised to entrench Republicans in power in violation of the voters’ constitutional rights. Democratic voters residing in all of the districts filed suit in Cincinnati against Ohio Governor John Kasich and other Republican state officials over a practice called partisan gerrymandering. The U.S. Supreme Court is due by the end of June to issue rulings in two major partisan gerrymandering cases from Wisconsin and Maryland that could affect the Ohio suit. The plaintiffs said the suit is not likely to impact Ohio’s electoral map for November’s mid-term elections in which Democrats are trying to seize control of the House and Senate from Republicans, but aims instead for the 2020 election. The Ohio congressional districts, drawn after the 2010 U.S. census, have been used since 2012. The plaintiffs contend the Republican-controlled legislature drew the map in order to lessen the clout of voters with Democratic leanings. The plaintiffs said the map amplified the voting power of Republican voters, allowing that party to win in 12 of the 16 House districts in the past three congressional elections. Republicans held 75 percent of the seats but captured only between 51 and 59 percent of the statewide vote. The plaintiffs said the current map violates their rights to freedom of association and speech under the U.S. Constitution’s First Amendment, and the 14th Amendment guarantee of equal protection under the law. 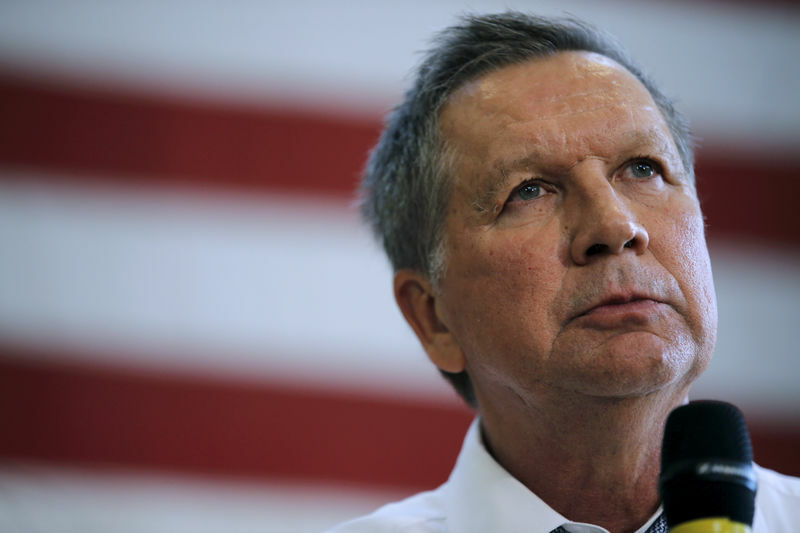 Though Kasich signed Ohio’s congressional map into law in 2011, he has more recently spoken out against partisan gerrymandering, calling it “devastating for our democracy” in a brief with other current and former Republican officials to the Supreme Court. The American Civil Liberties Union represents the plaintiffs, also including the A. Philip Randolph Institute union organization and the League of Women Voters of Ohio. Republican Ohio Secretary of State Jon Husted, also a defendant in the suit, questioned why the ACLU waited so long to sue considering how long the map has been in use. Husted said the plaintiffs should respect a new process that Ohio voters approved this month that would put future redrawing of congressional district maps in the hands of a bipartisan commission if Ohio’s General Assembly cannot pass a plan supported by both parties. That process does not affect any election until 2022.